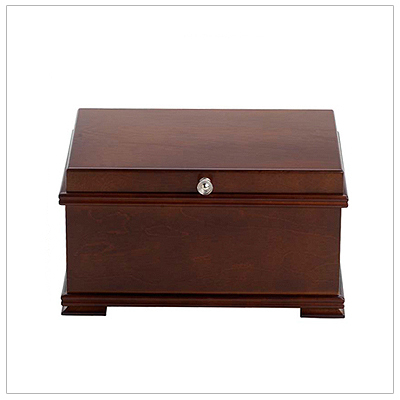 Quality wooden jewelry boxes for adults and children. 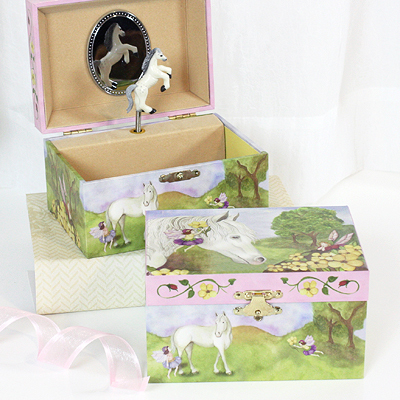 Beautiful jewelry boxes for girls with pop-up twirling ballerinas, horses, and fairys. 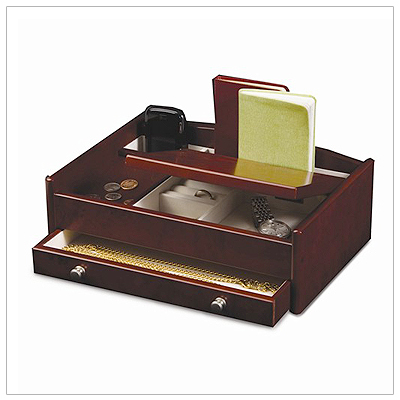 Plus handsome jewelry boxes for men and boys to keep their things neat. 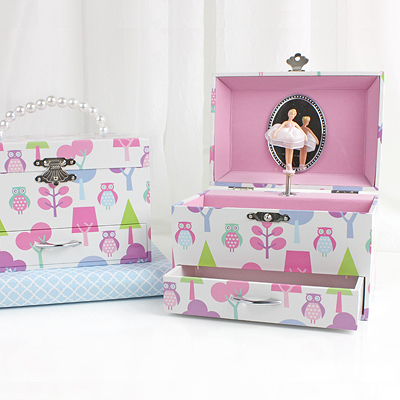 Our rosewood girls jewelry box is perfect for a little girls beginning jewelry collection. 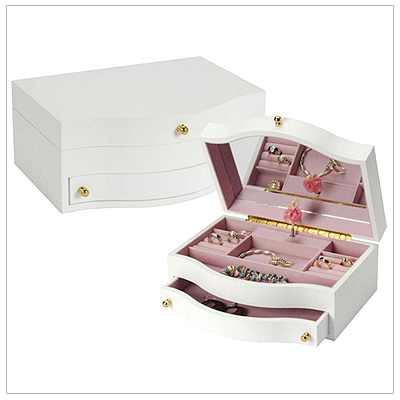 Elegant wooden musical jewelry box for girls. Pink suede interior, ballerina, multiple compartments. 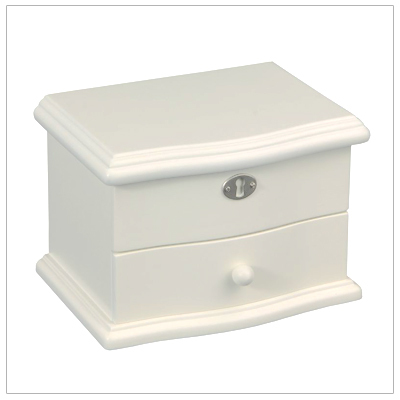 Ballerina jewelry box for girls with an ivory finish. Fully lined interior. Add engraved plate to lid. 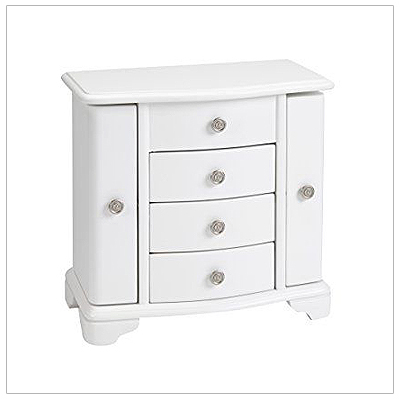 Tall white wood jewelry box for girls with 3 drawers, 2 swing out doors. Pink interior, multiple compartments. 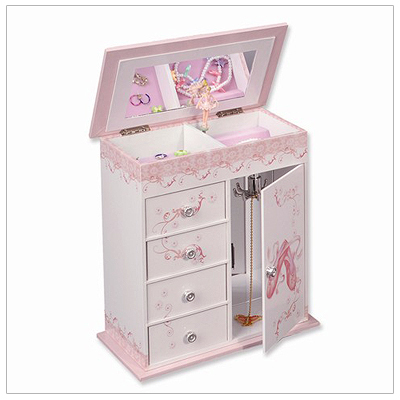 Musical ballerina jewelry box for girls. Four drawers, top compartment, door with necklace rack. 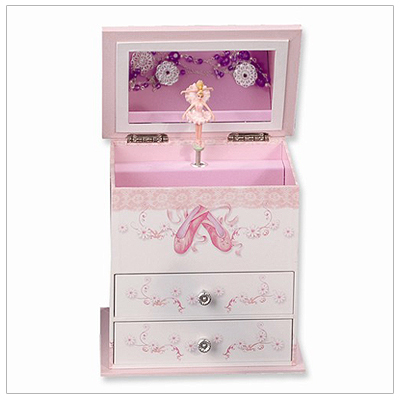 Musical ballerina jewelry box for girls. Two large drawers, deep top compartment and mirror. 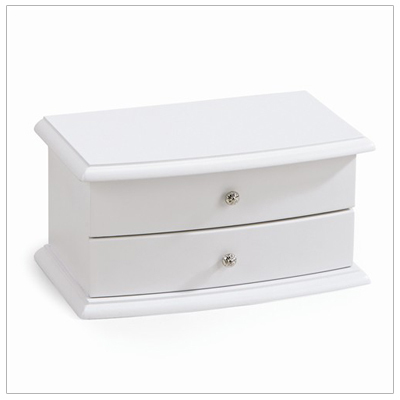 Beautiful wooden girls jewelry box with a white finish. Fully lined, multiple compartments, mirror. Fun owls musical jewelry box for girls with a pop-up ballerina. Hinged top and drawer. Musical jewelry box for girls with a pop-up horse. Top compartment, large drawer and 2 side drawers. 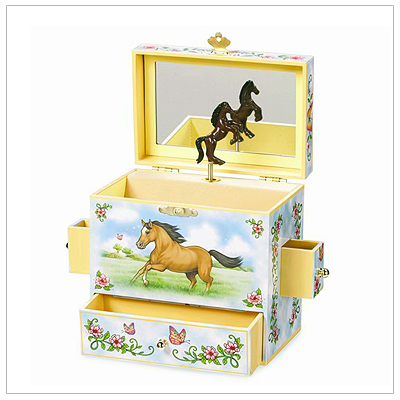 Musical jewelry box for girls with a pop-up twirling horse. Hinged lid with latch, fully lined interior. 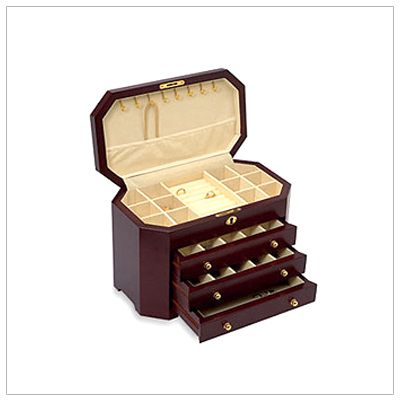 Beautifully finish wood girls jewelry box. Add a personalized engraved plaque to this gift item. Solid wood jewelry box with walnut finish and cream interior. 4 drawers, 2 doors, hinged lid and lock. 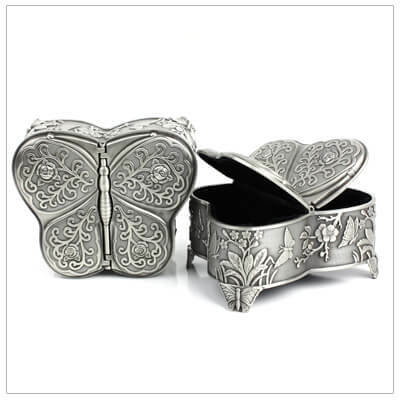 Pewter-toned butterfly jewelry box for girls. Center hinged, wings open, velveteen lined. 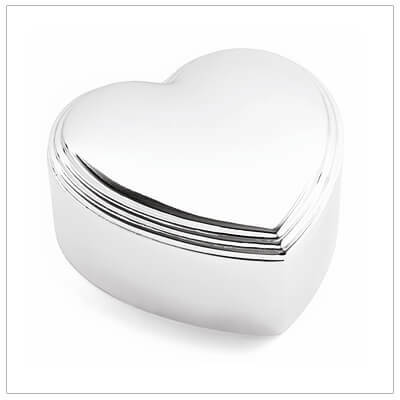 Silver plated jewelry box with velveteen lining. Personalize the lid, engraving included. Gorgeous hardwood jewelry chest with a mahogany finish. Lots of storage, 3 drawers, chamois interior. 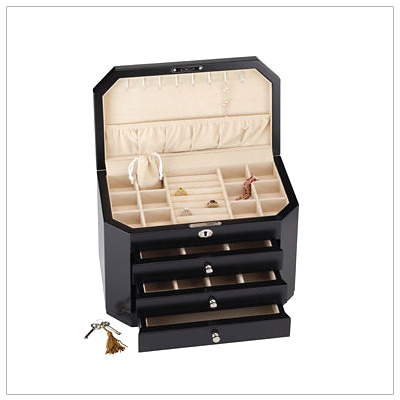 Fine wood jewelry box with an onyx finish. 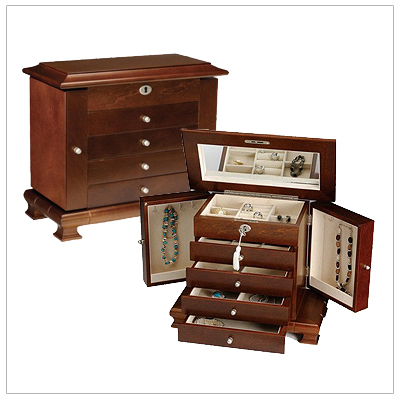 Necklace hooks, 3 drawers, compartments, lock and key. Handsome mens jewelry. Drawer, hinged lid, multiple compartments, phone storage. Engrave plate. Mens valet with rosewood finish. Hinged lid and lift-out tray. Fully lined, engraving available. 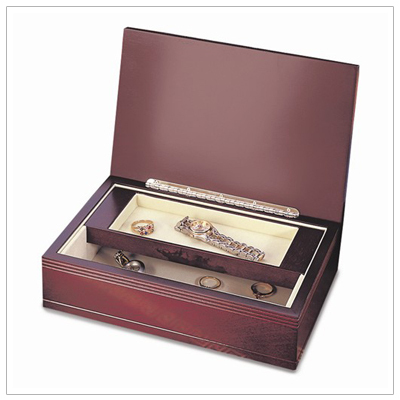 Our beautiful Keepsake Boxes and Music Boxes are perfect to store your momentos of a special day. 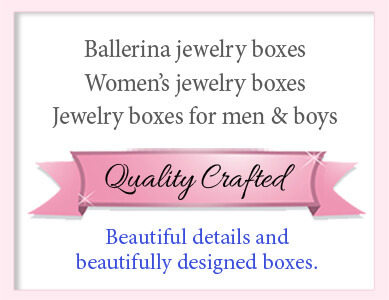 These quality boxes make wonderful gifts! For anti-tarnish storage for your jewelry see our selection of jewelry pouches, puffs, and rolls for adults and children. View more great products in these special categories, too!